The car has sustained frontal damage. Supplied photo. 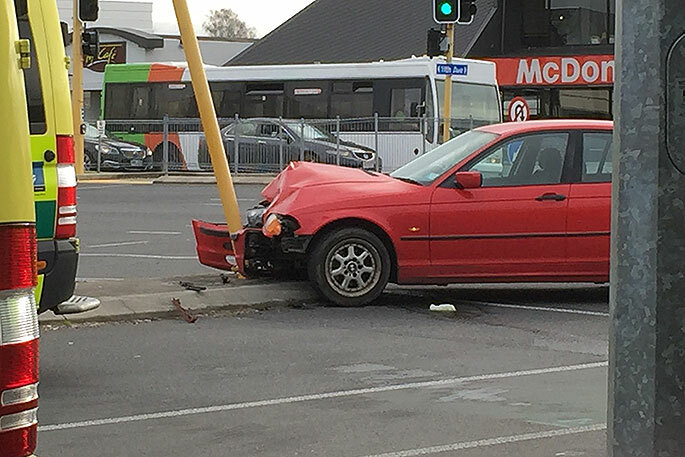 UPDATED 3.49PM: A car has crashed into a traffic light pole on Cameron Road. The crash has happened on the corner of Cameron Road and 11th Ave.
A witness to the crash says the driver has swerved to avoid some students crossing the road. 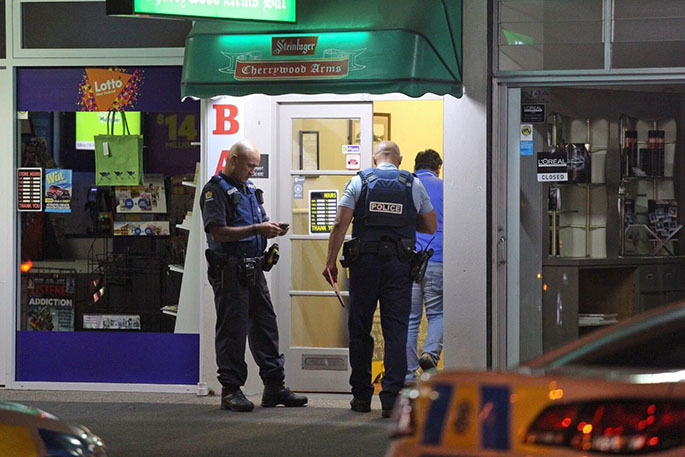 "She was coming down from Pak'n'Save on Cameron Road. Some students had crossed the road on a red light and she swerved to avoid hitting them and collected the light." Police have one message for people following this crash. "All pedestrians, especially bikes, do not cross the road when the light is red," says an officer who spoke to SunLive at the scene. 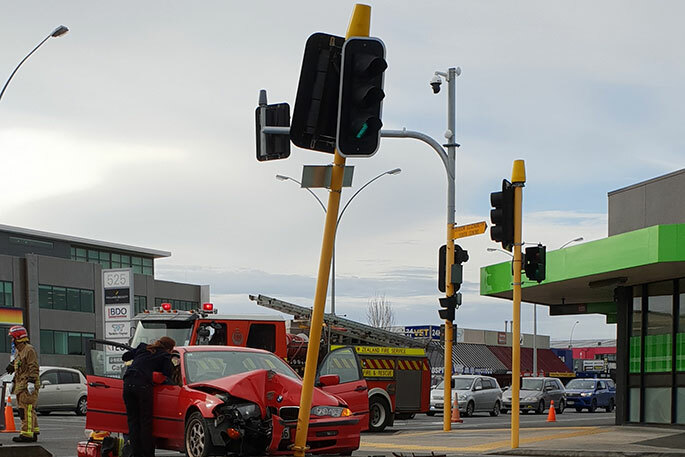 Reports are coming in of a crash at the intersection of Cameron Road and 11th Ave.
A caller to the 0800 SUNLIVE news hotline says a car has crashed into traffic lights at the intersection. "There doesn't appear to be any injuries. Everyone is out and walking around the scene. "Firefighters are on the scene." Worst of the lot. Follow no rules, think every footpath is theirs, every bit of road is theirs, wreckless. Moan if a car goes near them. 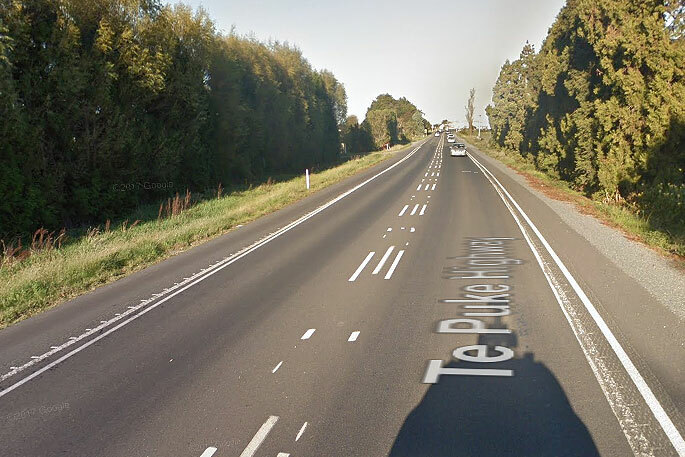 We need a network of cycle lanes where they have right of way in all situations.